Every year, slip and fall usually cause over eight million emergency room visits. Most of the victims are old people. Falling is a leading cause of death for people who are over 65 years. An old person can trip and fall on the stairs. To prevent that from happening, a stairlift in Philadelphia will come in handy. EZ Living Concepts deals with the installation, repair, and maintenance of stair lifts. We are dedicated to making sure that multilevel buildings and houses in Philadelphia are wheelchair accessible. 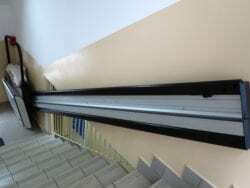 We do so through offering state of the art wheelchair lift services. Our services are trusted by house owners and building owners all over Philadelphia. Our testimonials can easily be found online. We always deliver on our promises and we deliver on time. If a loved has lost mobility, there are many life changes that will need to happen. It should be easier for the loved to get around easily whether it is indoors or outdoors. With our wheelchair lift installation service in Philadelphia, a loved one who has physical challenges will not be confined to a small space. He will be able to move from one part of the house to another. It will also be easy to move to the outdoors. Our wheelchair lift services prevent isolation and depression in people who have physical challenges. It can be depressing to always stay inside a house just because a house is not wheelchair accessible. The inability to move around easily will lower the quality of life of a person. That will lead to stress and depression. EZ Living Concepts prevents isolation through the use of high-quality wheelchair lift services. We offer more than wheelchair lift services. 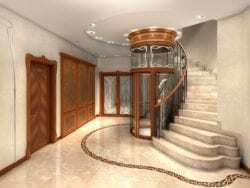 We also offer in-home elevators. This will reduce the risk of injuries as a result of falls. If your house has young children, this service will come in handy. Young children are particularly vulnerable to falls. They can fall on the stairs. Our lift installation services will make your home more comfortable. The lift will be as functional as how it has been installed. Our professionals will observe a high level of attention to detail during the installation exercise. After the job has been completed, there will be thorough testing. 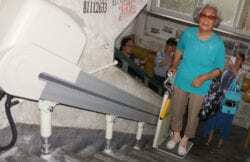 A stair lift will be a useful addition to your home. It will make it more functional. We offer a full range of stair lifts, wheelchair lifts, and home elevators. We usually install, repair, and maintain these items. Professional maintenance will prevent over ninety percent of costly lift repairs. It is better to maintain than to repair.